The community impact of this project is 30-60 youth annually in Collin County. The goal of the JuMP project is to equip these young people with the mechanisms they need to make good choices and reduce the likelihood for re-offending. The positive interactions with League volunteers help them develop trust, interpersonal skills, and tools for life. Not only does participation in the program give a sense of accomplishment, but it also builds on the foundation they have to increase and improve upon their self-esteem and communication skills. 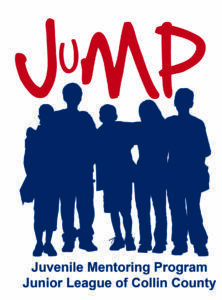 The JLCC received international commendation in 2016 for the JuMP program at the 94th Annual Conference of The Association of Junior Leagues International, Inc. (AJLI). JLCC was the recipient of the Colgate Bright Smiles, Bright Futures Community Impact Award for our work on JuMP. To date, JuMP graduates have all successfully completed probation and have a 93% non-recidivism rate.